SEOUL -- South Korean actor Park Hae-jin will open a video channel on Weibo, China's version of Twitter, industry sources said Monday. 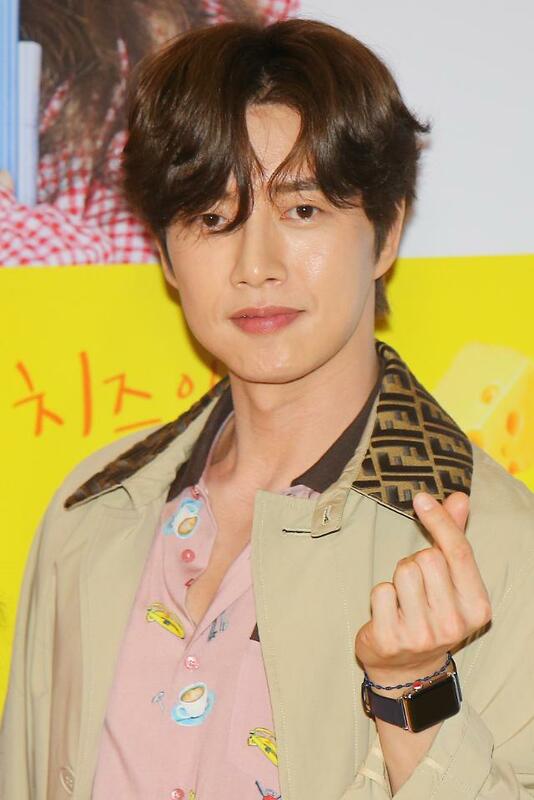 According to the sources, the largest social media network in China had asked the Korean actor, who enjoys huge popularity in the country, to open a channel titled "Park Hae-jin V+." A wide variety of content, including live streaming shows, will be played on the channel, which is expected to be up and running next month. The development came after diplomatic feuds between the two countries over the deployment of a U.S. missile defense shield in Korea has cut the presence of Korean entertainment and celebrities in the country. The star of "My Love from the Star," "Cheese In the Trap" and most recently, "Man x Man," rose to fame in China for his role in the 2011 Chinese drama "Qian Duo Duo Get Married," which became a nationwide sensation. He later starred in three more dramas, including "Far Away Love," which earned him a top acting award in the country. In May 2016, a postage stamp series featuring Park was released in China, a first for a Korean actor, as he was chosen as one of the 100 most influential cultural figures in the country. But he was also affected by China's ban on Korean culture in retaliation against the THAAD deployment. His upcoming movie, "Cheese in the Trap," set to premiere in Korea on Wednesday, hasn't yet secured a Chinese release. But a special live publicity program will be shown on the Chinese live-streaming platform Huajiao on Tuesday. On the movie's opening day, another special program will go on air on Weibo to publicize his new movie.